If reaching your destination includes pickup trucks, float planes or open boats, not to mention sweat equity, you need to be prepared to adapt. 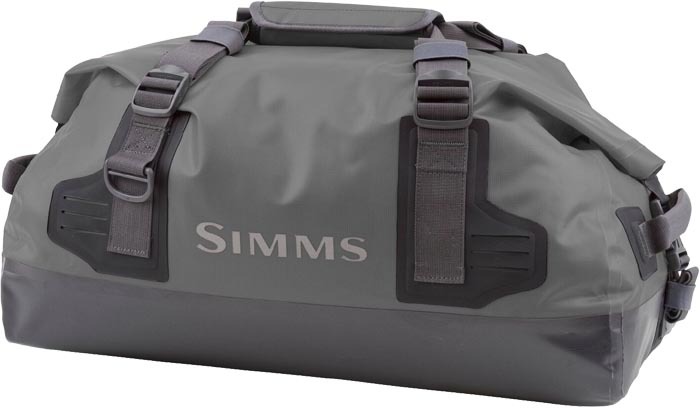 Our small Dry Creek® Duffel is built to keep your gear dry and easy to haul to any destination. It's soft-sided, waterproof and includes strap attachments for lashing on rod tubes or securing to a raft or drift boat. It's lined with padding to help protect your gear and has adjustable handles for carry options. DIMENSIONS: 20.5" x 10" x 10"
CAPACITY: 33L, 2050 cu. in.